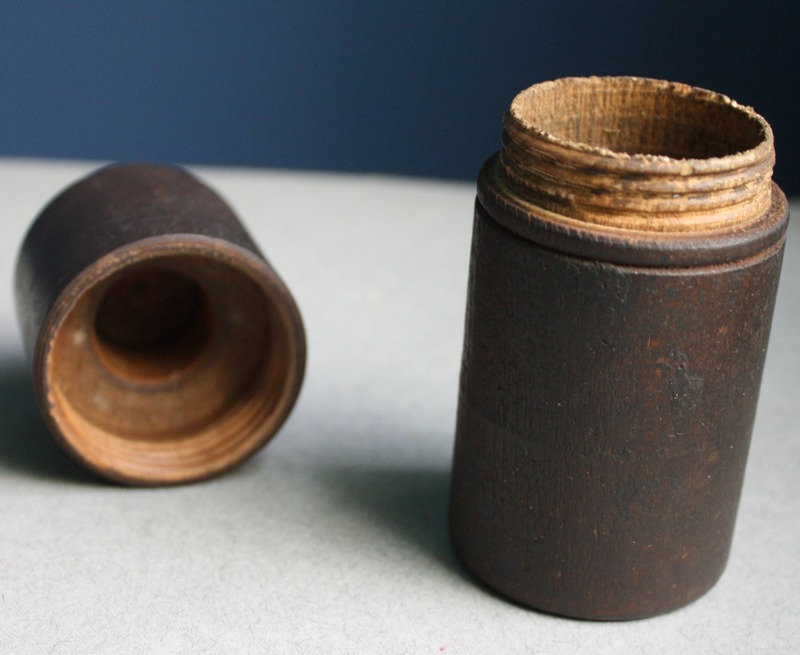 This canister is Civil War era and more than likely was used for ink. 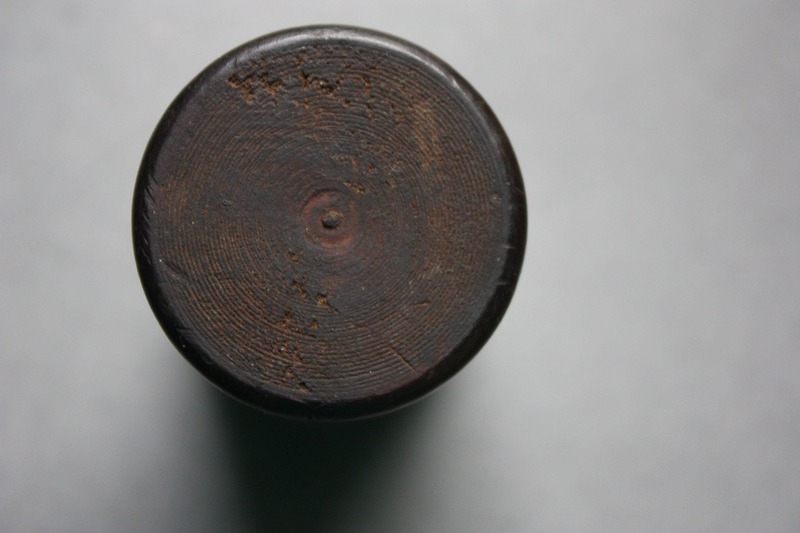 I believe there was a glass insert based on the interior of the cylinder and the interior of the cap as there is a depression in each where a bottle and a bottle lid or stopper would have fit. 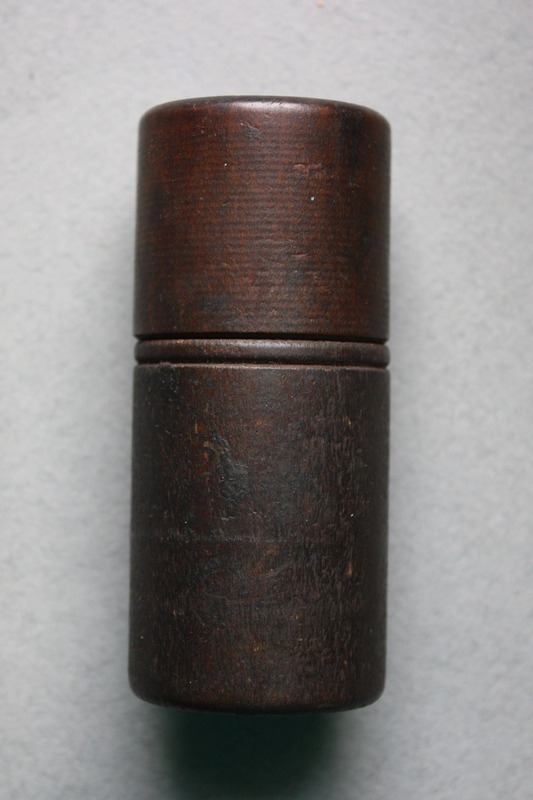 The canister is 3 3/4" in length by 5 1/2" circumference. The lid is 1 1/2" across and the base is 1 5/8" across. 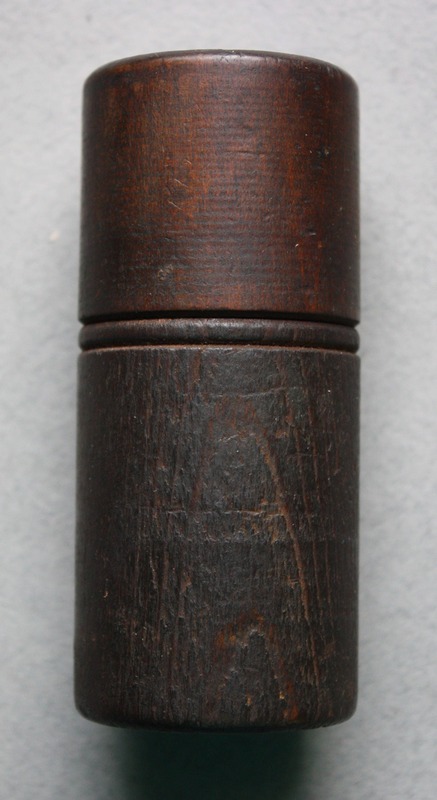 I believe this canister is wood covered in gutta percha. 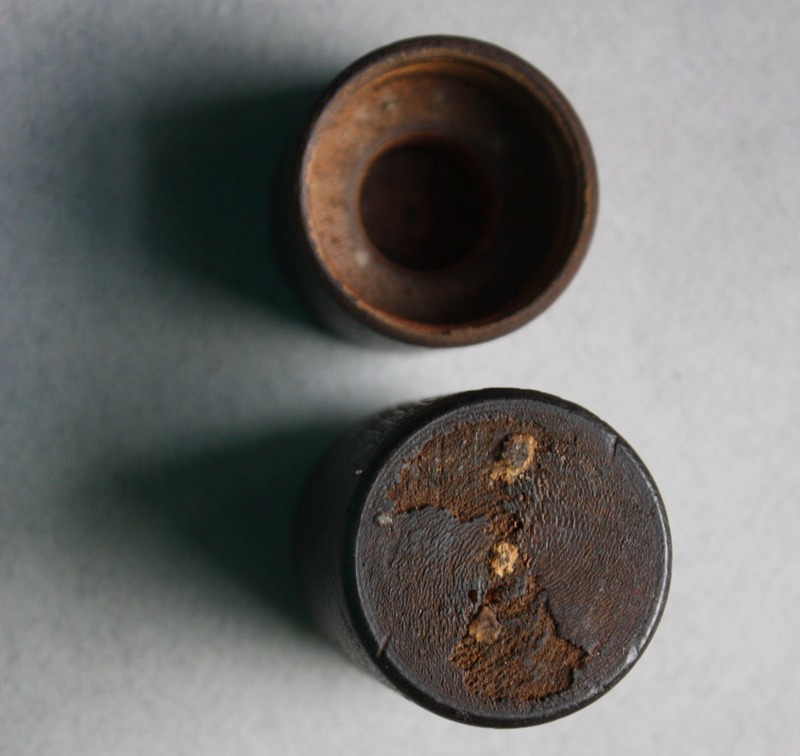 The remnants of gutta percha can be seen on the bottom of the canister.